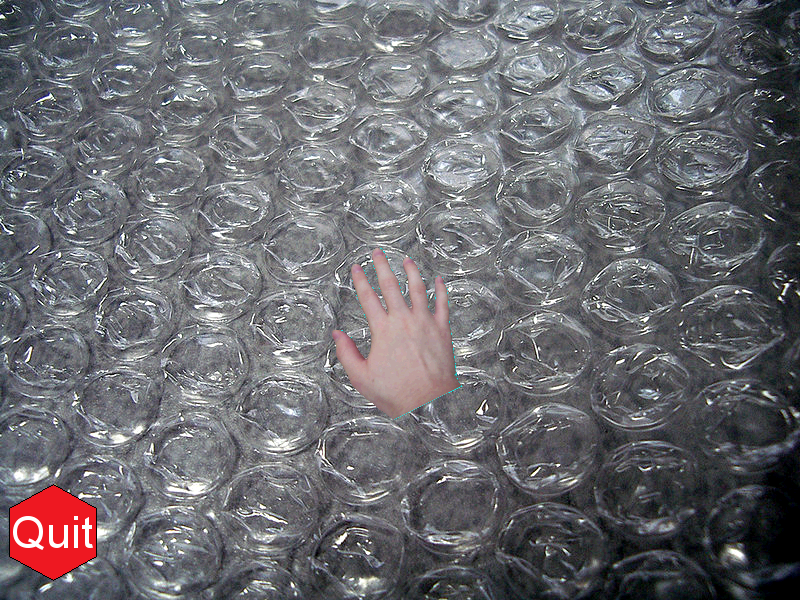 A gag game of sorts that simulates the process of popping bubble wrap. Obviously NOT an adventure game! More info is available on the Itchio page. Most realistic bubble popping simulation on the PLANET! Most realistic graphics ever in a video game! That's because they're REAL PHOTOS! Real sounds of bubble wrap being popped recorded from REAL bubble wrap! It's not really a game, but... come on, who doesn't love popping bubble wrap!?!? Hole crap, I got nominated for an award?